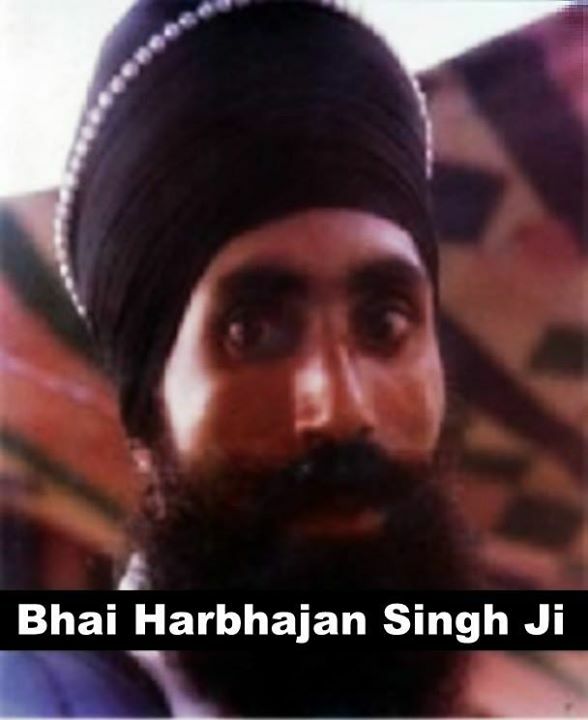 Bhai Harbhajan Singh was born in 17th April 1947 in the village of Bhattian, Gurdaspur to Mata Harbans Kaur and S. Jagat Singh. Bhai Harbhajan Singh has three brothers – Sardar Niranjan Singh who is a teacher in a government school, Sardar Gurmeet Singh, who is with the BSF and Sardar Hardev Singh who is a farmer. He also has two sisters who are married. He was the only one who was Amritdhari out of his brothers and sisters. Bhai Sahib had a glowing face, a special shine in his eyes and was always in Chardi Kala. Harbhajan Singh studied up to the tenth class in the government school of Kahnuwaan. After this, he enrolled on an Agricultural course at Ludhiana University. Upon completion of the course, Harbhajan Singh started working as an Inspector in Gobindpur block. Bhai Harbhajan Singh was married to Bibi Joginder Kaur and together they had three children -Baljinder Singh, Kulwant Kaur and Balkar Singh. From the day he was blessed with Amrit, Bhai Harbhajan Singh became practiced his Sikhi devoutly, memorizing many Bani’s and he also enjoyed performing and listening to kirtan. Whenever he met another Gursikh, it would always be with great humbleness. He always displayed the courage to speak the truth and based all his actions on the principles of Gurmat. It was this conviction that led him to join the protest in Amritsar on Vaisakhi day in 1978, where he gave his life but he did not compromise his faith. Dhan Guru, Dhan Guru Pyare!